I was there for two of those TT race wins, but my relationship with Michael reaches back all the way to the start of Asphalt & Rubber, when I was fresh out of graduate school and still trying to figure out what I was doing with this meager publication. 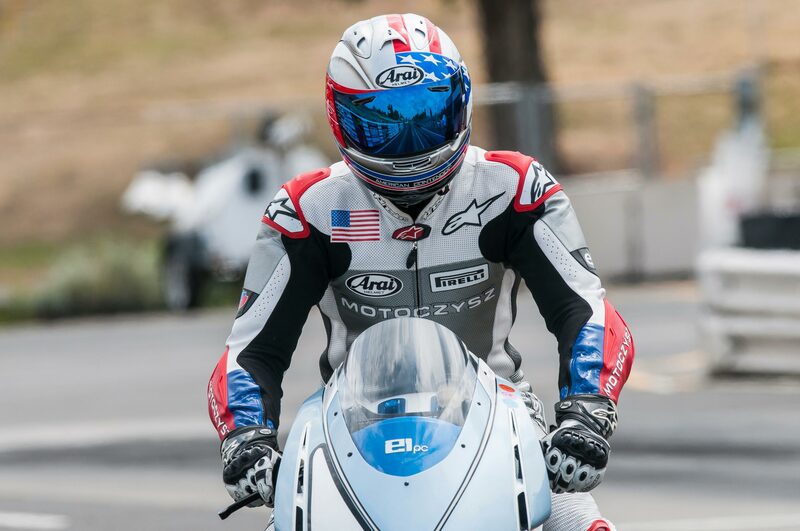 You see, Michael was my first interview as a motorcycle journalist, with my start in this industry coinciding with Michael’s transition from the MotoCzysz C1 MotoGP project to the MotoCzysz E1pc electric superbike. 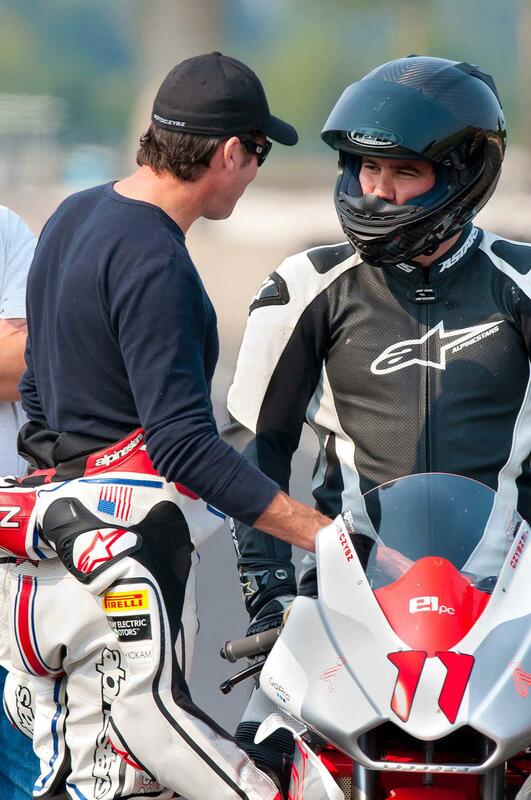 On several occasions I would get a chance to work closely with Michael on a story, and I always noted and enjoyed the fact that he worked closely with his father, Terry, on his racing projects, with motorcycles being a common thread in the Czysz family. 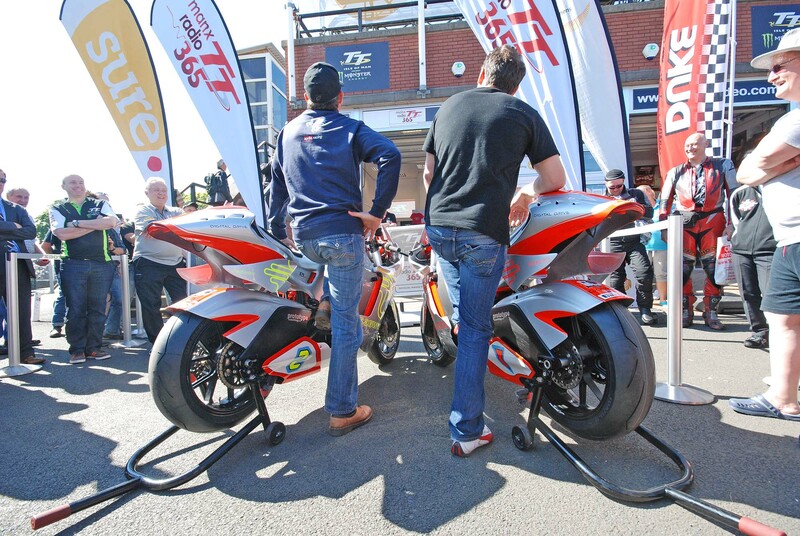 You can find Terry in the next photo below, to the left of racer Michael Rutter, as the group scrutinizes the 2011 E1pc after a testing session at the Isle of Man. On that same note, you can also find below one of my favorite photos of Michael that we have published on A&R – thanks to our friend Con Blias. 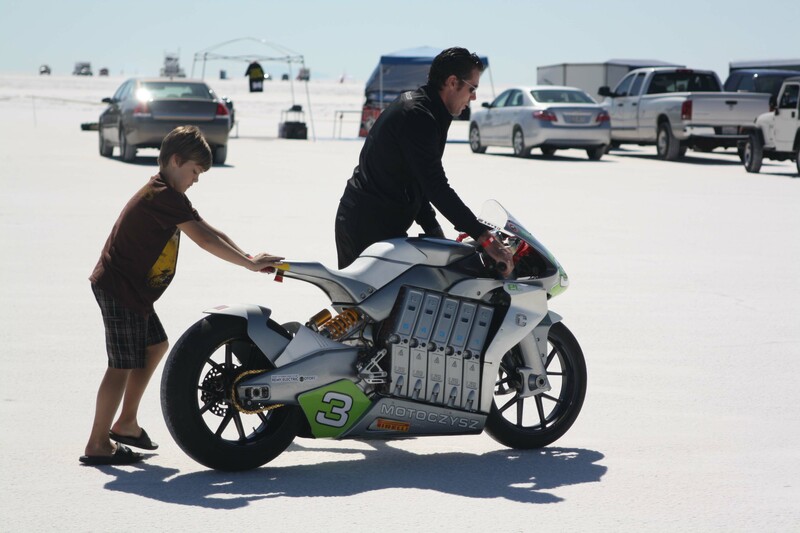 The photo is from a land speed record attempt at the Bonneville Salt Flats, and shows one of Michael’s sons helping to push the E1pc back to the pits, keeping the family tradition alive. It only took a few moments after Michael told me to “harden up” during our initial interview and meeting for me to realize that he and I were going to be good friends. I had an instant appreciate for Michael’s frank and honest opinion, in a world that seemed anything but. On that same vein, that doesn’t mean that I am going to sugarcoat Michal’s legacy with my words here though. Michael’s direct and unfiltered temperament was off-putting to some, and his ability to summon a singular focus on a task at-hand could easily create an impossible cadence to follow. For some, Michael had a personality that was impossible to reconcile, but for those of us who called him a friend, it was that dichotomy in persona that made him all the more worthier to know. This is because it was easy to see within minutes of talking to him, that Michael saw the world in a special way, and that he touched this world with his unique perspective. 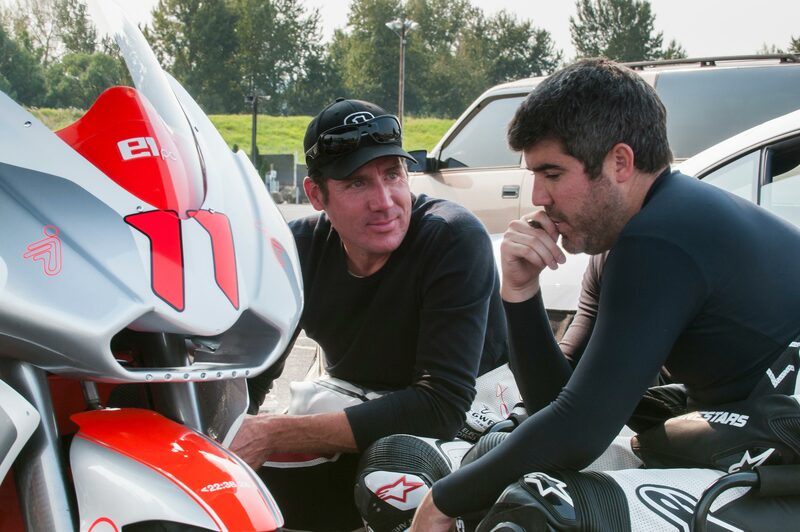 Over our seven-year relationship, Michael and I would have some heated exchanges, especially during the height of TT season, but I always knew these blowouts were part of the package deal that came with knowing someone who wanted to achieve great things in his life. For most, having cancer would have slowed them down, and maybe focused one’s resolve elsewhere. But for Michael, I think it was the next challenge that kept him focused on actually living out the indeterminable time that he had remaining. About a year and half ago, I caught up with Michael at his house along the Willamette River. Over dinner we strangely didn’t talk about the most obvious point of conversation at hand: his illness. Instead, we traded thoughts about his next big project, and mulled over him attempting another racing campaign at the Isle of Man. Michael’s focus on what was beyond his cancer would continue even as the disease’s specter loomed nearer. Just a few weeks ago we ran into each again, and spent some time discussing the rise of aerodynamic winglets in MotoGP – of all things. The topic was of note of course, since Michael’s 2012 MotoCzysz E1pc featured a number of aerodynamic elements, including air-shaping winglets. And, I should have known that he would have some thoughts on the subject, since MotoGP was a topic we often found ourselves discussing together. 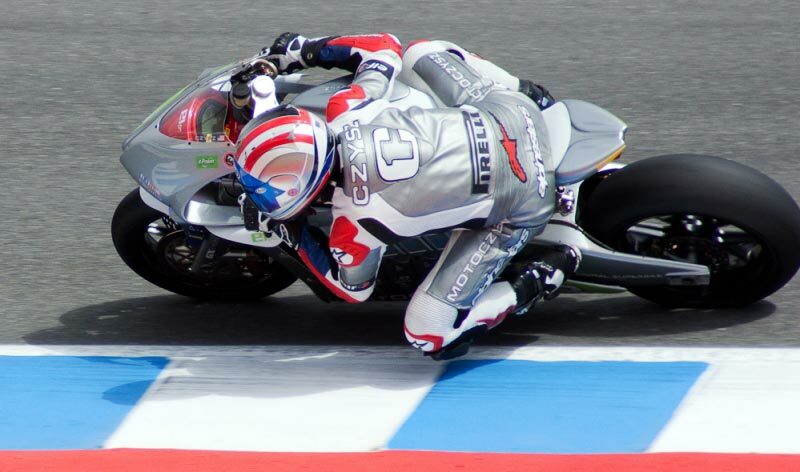 Michael’s mind was always churning away on racing and creating. And that is the thing with understanding Michael: he was always analyzing a new problem with his own unique lens, and always thinking in new terms for a way to do something better. Add to that the fact that his execution always required supreme attention to the details, and the results speak for themselves. In goes without saying really that Michael Czysz will be remembered for the things he created, and that he will be remembered for the things he achieved. Just like many others before him. And that’s fine, and that’s good, but as time wears on, I think Michael’s biggest contribution to our industry will be his passion to innovate and to build; his willingness to fail and to succeed; and above all else, his eagerness simply to try what others have not. I hold the latter in the highest esteem, and Michael did too. You will be missed, my friend. Thanks for the inspiration.